It’s no secret that some police officers are inherently suspicious of bikers, especially if they are patch-wearing club members. Many officers are ready to harass, profile, or illegally search bikers at the drop of a hat. I have always advised clients that they should consider complaining about such incidents to police department internal affairs, even if they do not yet have enough evidence to file a civil rights lawsuit, as these police conduct complaints can be used in later lawsuits. Governor Brown recently signed into law a bill that makes such complaints even more effective in holding accountable unscrupulous officers who regularly harass law-abiding citizens. Read on to learn about the effects of California’s new law, and contact a passionate San Francisco motorcycle rider civil rights attorney if you’re a biker who has been harassed or otherwise had your rights violated by law enforcement in the Bay Area. Incidents involving the discharge of a firearm by an officer. Incidents involving an officer’s use of force that led to serious injury or death. Records relating to an incident in which a “sustained finding” was made by any law enforcement agency that an officer engaged in sexual assault involving a member of the public. Sexual assault is defined to mean using any coercive means, such as force, extortion, or offers of leniency, to initiate or attempt to commit a sexual act. Sexual assault includes propositioning for or the commission of any sexual act while on duty. 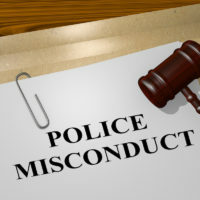 Records relating to an incident in which a sustained finding was made of dishonesty by an officer relating to the reporting, investigation, or prosecution of a crime, or relating to the misconduct of another officer. “Dishonesty” misconduct includes but is not limited to committing perjury, giving false statements, filing false reports, and destroying, falsifying, or concealing evidence. For incidents of sexual assault or police dishonesty, the records will be made public if the law enforcement agency made a finding that there was evidence to support the allegations of misconduct. 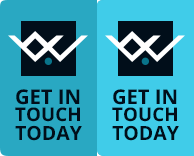 The law sets out timelines for the production of different types of records and specific circumstances under which disclosure of records can be delayed or certain information withheld or redacted. The transparency available under the new law will make it much easier to bring a solid case against an officer who regularly abuses his or her authority at the expense of the citizens they are tasked with protecting. If an officer violates your rights, you can now look up that officer’s personnel records to determine if they have a history of this sort of behavior, including previous complaints or adverse findings. An experienced civil rights attorney can help you investigate the officer and your incident, and ensure that you are appropriately compensated for the officer’s wrongful conduct. If you’ve been the victim of discriminatory, harassing, or otherwise illegal treatment as a California biker or club member, get help seeking justice for this violation of your rights by contacting the seasoned and dedicated Bay Area bikers’ rights lawyer William E. Weiss for a free consultation at 415-362-6765.